Day 2 – Arrive England and board our private coach to Liverpool. Visit some of England’s finest sites on our journey to the birthplace of the British Invasion. Once in Liverpool, we will check into our hotel for the 3 night stay in Liverpool at The Hard Days’ Night. Tonight we will have a welcome to England group dinner. Day 3– Begin the morning with a short walk from The Hard Days’ Night Hotel to Albert Dock and the home of The Beatles Story Museum. Spend the morning in the museum and experienceThe Beatles. Enjoy lunch at the museum or wander Albert Dock and find your own lunch place. After lunch we will hop on The Magical Mystery Tour Bus and tour Liverpool with a top Beatles guide from Cavern City Tours. After the tour we will be dropped off at The Cavern Club. 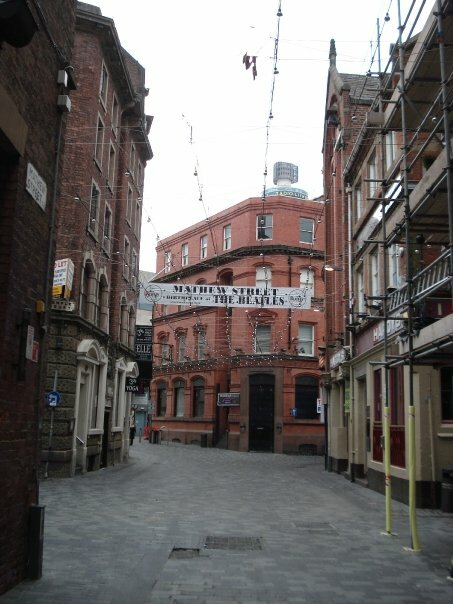 Day 4 – Explore all that Liverpool has to offer! Your Beatles Story ticket is good for 2 days, so make sure to visit their second building at Merseyside where you can watch a 4-D Beatles movie and visit the interactive British Invasion exhibit. Additionally, Liverpool is home to several world class museums (The Merseyside Maritime Museum, The Liverpool Museum, Art Museum) and shop the many FAB areas of downtown. Maybe take the Ferry ‘cross the Mersey! Day 5 – Depart Liverpool and travel to London with stops at historic Stratford and Oxford. That evening we will check into our London hotel, The Copthorne Tara in Kensington. Spend the evening experiencing local pubs and London nightlife or relax in the hotel bar. Day 6 – Take the day and discover London on your own. Catch a breath-taking view of London while riding the London Eye. Visit museums. Ride a double-decker. We’ll have dinner at London’s Original Hard Rock Café, then a tour of “The Vault” which contains treasures deemed too valuable to display. Day 7– We will tour London with a top rock historian. We’ll cross Abbey Road and see Abbey Road Studios. Visit Saville Row and the site of the “Roof Top Concert”, Royal Albert Hall, and many other rock & roll sites. We will also see Big Ben, London Bridge, Buckingham Palace, Tower Bridge, Piccadilly Circus and more. Enjoy London to its fullest.